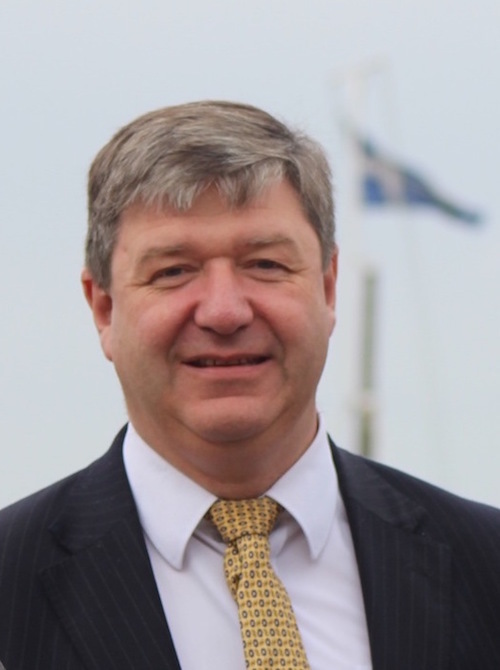 NORTHERN Isles MP Alistair Carmichael has warned that the gap in broadband provision between rural and urban communities is widening, with more than a fifth of Shetland residents not having access to a 10Mbps standard which becomes a legal requirement in 2020. According to Carmichael, a report by the telecom regulator Ofcom, published on Wednesday, shows that Orkney and Shetland continue to lag behind, with around two in three homes having access to superfast broadband compared to more than nine in ten homes across Scotland. Additionally the report shows that 21 per cent of residents in Shetland and 28 per cent of residents in Orkney do not yet have access to the Universal Service Obligation level of 10 Mbps, which comes into force from 2020. Carmichael said: “While things are getting better for our digital connectivity, there is clearly still a long way to go. We started further behind the towns and the cities, and their provision has improved at a faster rate than ours, so they are further ahead now than ever. “These statistics will make tough reading for the Scottish and UK Governments who have still not delivered the broadband connectivity and digital infrastructure that many rural areas require. Carmichael added that both governments must work together to invest in improved coverage, to make sure Orkney and Shetland do not have to wait until 2020 to have the same access to reliable internet as the rest of the country. “This must include new use of mobile technology, use of TV whitespace, and the roll-out of 5G like we are seeing tested in Orkney right now,” he said. Meanwhile Openreach – formerly part of BT – has been working with housing developers to install fibre networks to “dozens of new homes” in Orkney, Shetland and the Western Isles. According to Openreach 30 new houses and 16 flats at Gaet-a-Gott, near Tingwall, will benefit from connection speeds of up to 1Gbps from a full-fibre network that started to go live at the end of September. The project, undertaken in co-operation with E&H Building Contractors, involved the installation of more than 1,300 metres of cable from the A970 between Lerwick and Sullom Voe to the site’s entrance. The new infrastructure will provide the same connectivity to the rest of the site which, when complete, will comprise around 80 new homes. Fibre-to-the-Premises (FTTP) offers greater capacity, more reliability and is capable of broadband speeds of up to 1Gbps – around 22 times faster than the current UK average of 46.2Mbps. Openreach’s fibre delivery director for Scotland Andrew Hepburn said: “We’ve cracked some challenges to bring FTTP to these island sites, like shipping out specialist equipment to Shetland to blow the delicate, glass fibres through underground piping. “When you buy a new home, you expect the best of everything – and residents will find their new homes are among the best-connected in Scotland. He said that Openreach had been honing its skills on full-fibre rollout in places like Altnaharra in Sutherland. New, more efficient techniques and equipment that were tried out there were helping the company deliver full-fibre networks to other rural places.